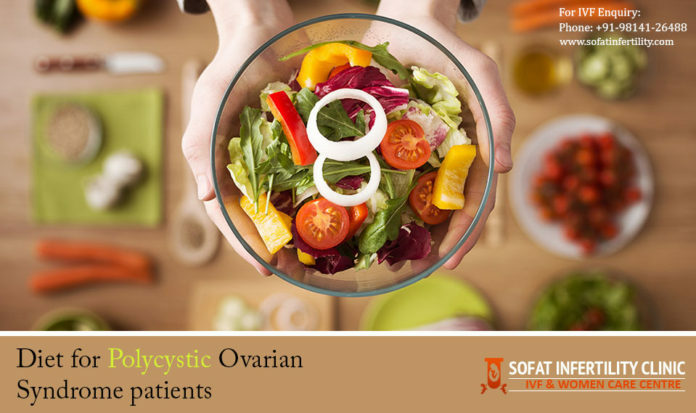 Polycystic Ovarian Syndrome (PCOS) is barely understood and has proved to be an obstacle in many reproductive-aged women. It is an endocrine disorder which brings about Insulin resistance and obesity. In the other way round also, PCOS patients are obese and are insulin resistant. The condition is also the root cause of anovulation due to the cysts formed in the ovaries. Hormonal imbalance where the male hormone (androgen) is highly produced in the woman’s body is also another case in PCOS patients. When it comes to treating PCOS, a closer examination and different tests have to be performed to diagnose this problem. The mass body of a patient and her lifestyle must be looked to reduce weight where necessary and hyperandrogenism. Maximum cooperation is required from the patient. PCOS treatment in India can produce fast and good results when dietary measures are used. Starchy foods and sugar have to be reduced when treating PCOS patients because they raise blood sugars. India is faced with poor dieting measures because most of the traditional foods are high in carbohydrates and sugar. Also, due to improved lifestyles, people are fond of having sweet dishes and snacks and this only increases calories in the body. Fibre and its supplements are recommended in the PCOS diet because they provide numerous carbohydrates that reduce the blood sugar and improves glucose tolerance in the body. It can be found in leafy vegetables, fenugreek seed, legumes, fruits, and lastly fibre based drinks. Complex carbohydrates should be taken in a higher quantity per day over the refined carbohydrates. The best sources of carbohydrates are, cereals that include brown rice, and whole meat, whole grain roti, pulses, legumes, low glycemic index foods like oats, millet, should be the priority. One should reduce the intake of refined flour, potato, and sooran. There is the lack of proteins in most of the Indian dishes. Animal and vegetable sources of proteins are recommended. So, one should increase the intake of curd, pulses, dal, eggs, milk and its products. To reduce weight, a woman can consume drinks, soups as substitutes to her meals. Obese patients should not neglect their calorie intake which in most times ranges from 38 to 51% when consuming conventional foods. This is due to issues with macronutrient composition, portion sizes, and calorie intake. Taking meal Replacers doesn’t mean one has to forego normal meals. Regular physical activities, water, and fruits must be part of an individual. Both raw and cooked vegetables can be consumed. 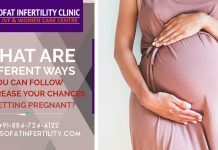 What are the different steps of the IVF process to getting pregnant?